"Come here with age appropriate devotion for all of us. And another cup of coffee." Hmmm. I'm a Bible teacher, so here was a challenge I would accept. On the fly. With it being eight days before Christmas I thought of something with a Christmas theme. My thoughts went to the story in Luke 1 of Mary's visit to her older cousin Elizabeth, herself about six months along, carrying John the Baptist in her womb. I read from the Bible app on my smart phone (yes, I'm there, too) some of the story, keeping it age appropriate. When Mary (recently impregnated with her consent* by the power of the Holy Spirit) arrived after a long journey from Nazareth to Judea she greeted Elizabeth. "When Elizabeth heard Mary's greeting, the baby leaped inside her, and Elizabeth was filled with the Holy Spirit." "Did you know that babies inside their mothers can hear sounds and people's voices? ", I asked them. "That is why when a baby is born and his or her mommy or daddy speaks to him/her ("it" is not an appropriate word for any of us) that baby will focus on the person speaking because the baby recognizes the voice". Then I continued with the seed I hoped to plant in their young minds. "Was tiny John the Baptist a person inside his mother?" You could see them thinking, because in their experience a "person" is someone who can be seen. I followed up with pointing out that he (unborn John) responded to Mary's voice, which was not familiar to him, but got his attention at just six months gestation. OK, I didn't say "gestation". I hope they never forget that. I still believe that "Jesus loves the little children of the world." Certainly He doesn't exclude the littlest ones. "I Remember He Was Tall"
Our young family, ca. 1992, was given tickets through a Congressional office for a White House tour. I'm a native Washingtonian, but had never been in the presidential mansion. This was not not a tour opened to the general public where you stand in line and buy tickets (do they still do that? ), but a bit more lengthy and comprehensive. Our guide was a Secret Service agent. 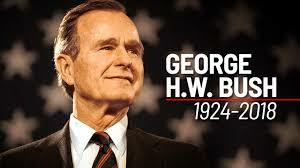 My kids were all in elementary school and George H. W. Bush was President. #41. At one point in the tour we went through a room with garage doors. It was just to get from point A to point B in the tour. Our guide, with a bit of a surprised look gathered the group - maybe a dozen of us total, and had us stop. Suddenly another door opened and in walked several Secret Service agents with President Bush. Clearly, they were a bit surprised to see us in that room, and wanted to hurry him past us to get him outside and into his awaiting vehicle. But, he would have none of that. He walked around to us, greeted us and expressed that he hoped we were enjoying the tour while shaking hands. I leaned down to my kids and said, "He's the President." Gail remembers, "some men in suits coming down the steps and making a path. Followed by more men in suits, I was starting to wonder what was happening. Then I saw President Bush in the middle of all the men. He stood out because he was taller than the others, a big smile, and we all gasped, we just weren't expecting to see him. Then he stopped to greet some in our tour group. I was holding Rachel's hand, picked her up so she could see him (then later explain who he was). I think that he would have shaken everyone's hand if he was not being encouraged to move along by all the men. Then he was gone and we were all so excited that we got to see our President!" My son Nathan, who is our oldest and would have been about eleven at the time says, "We were walking down a hall. I was near the front of the group and didn’t know who it was until he was past me. He shook hands with people behind me. I remember he was tall." It all took maybe a minute. Then he was whisked away to some other location where he was needed, solving, no doubt the country/world's ills. But, that he would stop to welcome us and shake a few hands said something to me about this kind, gentle man, at the time the most powerful man in the world. We've heard so much of him the past few days. I have no problem believing the eulogies. He was the last of the greatest generation to lead our nation. Tall, indeed, in many ways. After President Bush exited, our tour guide looked at us and in amazement said, "That never happens". I'm glad I was there when it did. My years of shepherding Jesus’ flock have continued to prove that the greatest challenge in the life of a disciple is to be selfless. When my walk with the Lord is conditioned on my wants and not His I’m walking alone. To paraphrase John, “It’s not about me.” He recognized that Jesus was the "lamb of God who takes away the world's sin". As popular as John was at the time, he knew he was no Jesus. No wonder Jesus called him the greatest man ever born. He got it. Our innate human nature is not to be humble but to find some reason for human pride; not to be selfless, but to exalt self; not to remove pick up the towel and serve, but to demand to be served. And this applies even to the most sincere Christ followers. Ask Peter. As the old Pogo cartoon aptly said, "We have met the enemy, and he is us." I'd like to be more like Jesus' cousin John, although I know he would tell me to look, not at him, but at Jesus. What better time of year to do so than when we remember that the Almighty willingly chose to not only become human, but to do so as a baby in a poor family whose first cradle was a manger. to the point of death—even to death on across. I heard the news Saturday afternoon of the massacre at Tree of Life Synagogue in Pittsburgh, PA. Finding out that something like that has happened again in the “land of the free” brings (at least on me) a cocktail of emotions. Shock is followed by incredulity. I felt anger toward the hatred that overcame the perpetrator and sadness and compassion for the victims and their families. That this followed so quickly on the heels of another hate-filled man sending pipe bombs to targeted men and women who have been either leaders or vocal in their support of a particular ideology underscores the evil hatred that lurks somewhere nearby, just under the radar for most of us. That such an attack happened in a house of worship should give us all greatest alarm. One of the highest virtues of our system in America is the freedom to worship without fear of governmental control, and without the fear that what happened Saturday could ever happen. We’re still recovering in many ways from a similar incident in a Texas Baptist church 51 weeks ago, proving that any faith, any house of worship can become a target of deranged hatred. Disagreement is part and parcel to a free society. Debate is the discourse that allows us to present the rationale, hopefully a rationale that is reasoned and moral, in our democratic republic. Healthy debate, healthy disagreement is a good thing, allowing us to not only understand differences but to work toward living together with them in peaceful ways. If you read the news and especially the commentary (which is what this piece is) you’ll find finger-pointing and blame being passed around. It especially concerns me that those claiming to follow the Prince of Peace can spread vitriol toward others with whom they find offensive rather than seeking the “ministry of reconciliation” to which they’ve been called. Look up 2 Corinthians 5:16-21. Sadly, somewhere in the last decade the notion that disagreement equaled hate became popular in many. That translates into the idea that a vote for one is hatred for the other. That translates into the idea that if one’s world view is influenced by a particular theology it must by default hate those who adopt a different world view. That notion has in itself resulted in a growing hate between us in so many ways. Hatred for another because of those differences, whether religious, political or racial is destructive to the foundation of our society. And there are societies built on foundations of hate, who only seek to either convert infidels or if that is not possible, to kill them off. In a small way, that is what took place Saturday morning. That is what was attempted last week as bombs were mailed. There has to be a better way. The Good News is that things can change and that anyone can become a new creation, allowing the Creator to fix what’s broken in each of us. I’m actually a believer that indeed, things will change for the better. It’s why I pray, “Your Kingdom come”. Ultimately the blame is on the brokenness of humanity. Of course, we’re not all haters. We’re not all terrorists or mass-murderers. Some are broken in ways far deeper than most. And it is true that words, more than anything flame the misguided passions that become hate, whether those words emanate from the church house, the White House, or your house or mine. I can't get past Saturday's synagogue massacre. How is it rational or moral to hate people because of their religion? (Of course, the answer is, "it isn't"). I'm unashamedly Christian, and I disagree with many other religions' basic tenets. But disagreement and hate don't need to hold hands. Not in a Christian's hands. Let’s cry out against hatred while at the same time keeping our disagreements civil. Let’s realize that to truly hate one of us is to hate us all, regardless of color or creed. Let’s realize that to hate Jews is to hate Jesus. Jesus said hate is the moral equivalent of murder. And to hate Jesus has many ramifications, none of which are to anyone’s benefit. To hate Jesus is to hate Christians – His followers. To hate Jesus is to welcome an eternity separated from Him in Hell. Hate is just wrong. Let’s stop the hate. Is You Is or Is You Isn't? The idea of an “inactive [church] member” is really a contradiction of terms. So let’s stop pretending about who is part of our churches. Paul seemed to be clear in his letters to the churches that not only should every believer belong to a local church, but that every one who belongs does so to contribute in an active way. From Him the whole body, fitted and knit together by every supporting ligament, promotes the growth of the body for building up itself in love by the proper working of each individual part. - Ephesians 4:16 HCSB (Emphasis mine). A manifestation of the Spirit is given to each person to produce what is beneficial… - 1 Corinthians 12:7 (My emphasis again). The historian Luke recorded that those 3,000 on the Day of Pentecost who believed and were baptized became part of the Jerusalem church. So those who accepted his message were baptized, and that day about 3,000 people were added to them. (Yes, I’m still emphasizing). Also check Paul’s words to the Roman church in Romans 12:3-10 about using the gifts God gives to benefit the church. An uninvolved “member” really isn’t a member. Taken from The Replanted Church. But the company owning the truck didn't ask if they could park it there. It is easier to ask forgiveness than permission. And they didn't move it for Sunday. I called the number on the side of the truck and left a message on Saturday. "Just wondering if you were going to move the truck before Sunday morning?" But, it was Saturday and their office was closed. So, I didn't really expect a reply. And I didn't get one. There was some talk among a few at church on Sunday about having the truck towed. It seems the owner of the company doesn't have the best reputation in the community. But I said, "No. I'll talk to them tomorrow. It's OK for now." My office window faces the place where the truck was parked, and on Monday morning I saw a guy open the truck door and prepare to drive off. So, I went out to meet him. I explained that we didn't mind him parking here during the week, but we needed the space on Sundays. He apologized and said the truck wouldn't be back. The driver lives in the neighborhood, by the way. Tuesday afternoon, while working on Sunday's sermon, I looked up to see another truck (same company) parking in the same space. Since I had told him it was OK during the week I thought nothing of it. But, after parking it I saw him coming to the office door, so I got up to meet him there. "My wife has been transported by ambulance to a hospital. Is it OK if I leave the truck here for a couple days? I'm on my way there now." I had heard the page (I carry a fire/ems pager) to transport her earlier. So, I knew she was pretty sick. "Of course. Park it here. What's your wife's name? Can I pray for her?" He shared her name and his as well and thanked me for the prayers. It got me thinking about grace. Had we had the truck towed, or even told them not to park it there I somehow think Christ would have been not only absent, but ashamed. Instead, He saw to it that we get to minister to this man. Who knows what might come of it? Grace is far better than law. Law was on our side, had we towed the truck or put up a sign, "Church Parking Only!". But grace says something far greater, doesn't it? This recovering fundamentalist is still learning. I’m a firm believer in the church being the body of Christ, and that the Holy Spirit places those in the body who will be productive and cooperative within the body. See 1Corinthians 12:1-11. And since the Spirit has that role, He also has the role of moving people out who no longer work with what He is trying to accomplish. The role of the pastor/replanter is to be in tune with the Spirit and follow His lead. 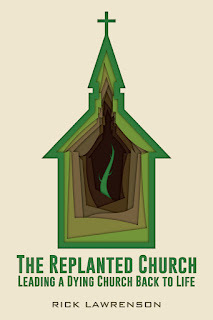 One of the toughest pills for a replanting pastor to swallow is that some need to leave. Every pastor called by God is a shepherd at heart. We don’t want to lose a single sheep, even one who disagrees with us. Surely, we convince ourselves, they’ll come around. We pray for them. We walk on eggshells around them. We lose sleep over them and get that queezy feeling in our stomachs with each phone call, text, email or Facebook post from them. But let’s be real. If God has called you to replant He has called you to be His agent for change leading the church back to life. Those who will work against you and that change must be converted to the vision or they must go elsewhere. And that’s OK. In fact, it’s necessary. A replanter is like a planter in this regard: God gave the vision to you. Your job is to help others see it and embrace it as well. Hopefully many will. But some will not. 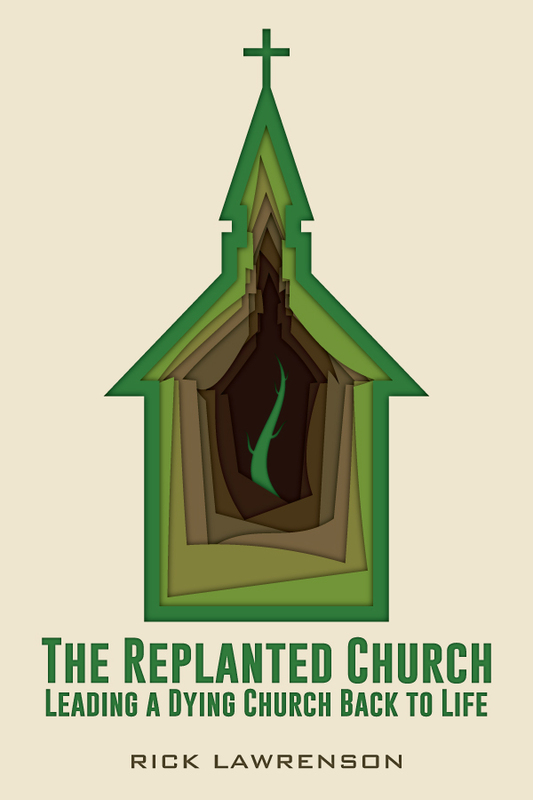 The Replanted Church. Finally done. About ten years ago I started writing the story of what God did to turn our church around. Knowing that there are more churches (than we would like to admit) dying in America, my hope was and is that the principles God used with us will give encouragement to congregations who are circling the drain. Last fall I was granted a Sabbatical by my church. I knew that time should be used to get the book done. With the help of some friends in Colorado and the use of their cabin, and others who have published writings to help with the ins and outs of getting it from a file on my laptop to print, the project was finished in early February. My amazingly talented son, Nathan, did the cover design. Looks great, doesn't it? Our story (at least the part in the book) begins in 1991 and goes through 1996. Five years of seeing change come about that resulted in a healthy, growing church. None of it is rocket science. I'll be changing the look of this blog somewhat - it's been unchanged for far too long - and posting more regularly about church stuff that I've learned in an effort to help other pastors. If you're part of a church, even if not a pastor or on staff, I hope you'll at least be challenged by some of what I post. And if you like it, order a copy of the book! Mostly, could you pray for those pastors and churches who read it. My hope is for it to make a difference in the Kingdom.